I love lemons and especially a lemon dessert. 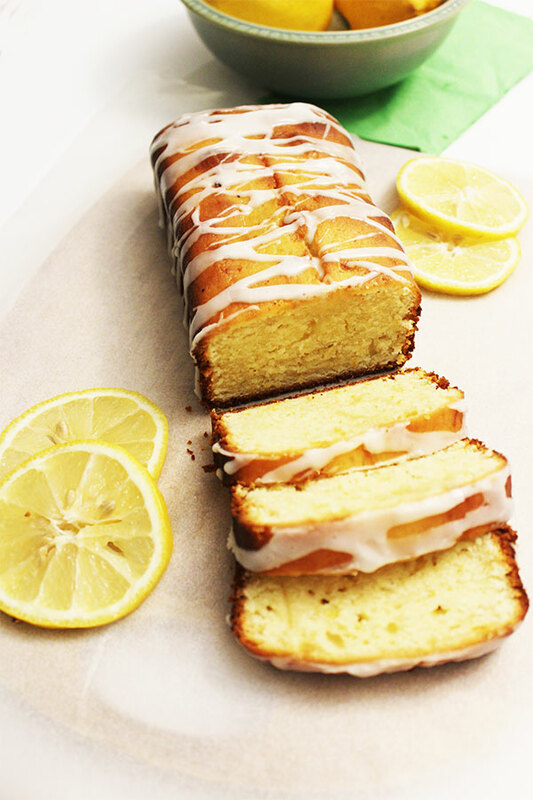 This lemon pound cake has always been one of my favourite cakes pretty much my whole life. It’s a fresh zesty cake that uses the juice and zest from two lemons and never fails to impress. Especially those who are also lemon fans. For best results when prepping this lemon pound cake it is suggested to let the butter, eggs and sour cream warm up to room temperature, and to blend the cake butter until very light and fluffy. Preheat oven to 350 degrees and grease a loaf pan to prep for the cake batter. Sift together flour, baking powder, and salt into a small bowl. Add lemon zest and set aside. Using a hand mixer cream butter and sugar until light and fluffy. Add eggs one at a time until well blended. Fold in lemon juice, vanilla, and sour cream and blend until smooth. Add in flour mixture in two or three steps and mix until well blended. Transfer batter mixture to loaf pan and bake for 50 minutes or until a toothpick comes out clean. Once you have removed the pan from oven, carefully transfer the cake onto cooling rack. While the cake is still warm brush the cake with the lemon glaze mixture until well coated. Let cool. Once the cake is about room temperature and still on the cooling rack you can drizzle icing along the top and sides.